Situated at the intersection of affect studies, ecocriticism, aesthetics, and Romantic studies, this book presents a genealogy of love in Romantic-era poetry, science, and philosophy. While feeling and emotion have been traditional mainstays of Romantic literature, the concept of love is under-studied and under-appreciated, often neglected or dismissed as idealized, illusory, or overly sentimental. However, Seth Reno shows that a particular conception of intellectual love is interwoven with the major literary, scientific, and philosophical discourses of the period. Romantic-era writers conceived of love as integral to broader debates about the nature of life, the biology of the human body, the sociology of human relationships, the philosophy of nature, and the disclosure of being. 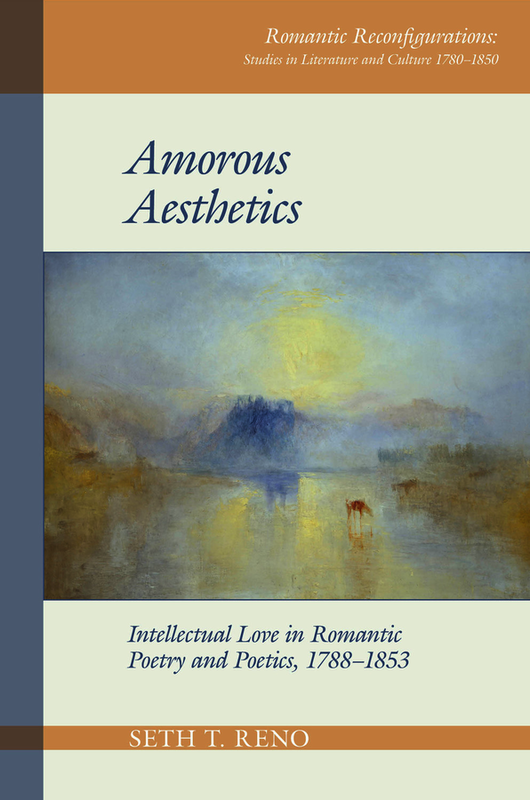 Amorous Aesthetics traces the development of intellectual love from its first major expression in Baruch Spinoza’s Ethics, through its adoption and adaptation in eighteenth-century moral and natural philosophy, to its emergence as a Romantic tradition in the work of six major poets. From William Wordsworth and John Clare’s love of nature, to Percy Shelley’s radical politics of love, to the more sceptical stances of Felicia Hemans, Alfred Tennyson, and Matthew Arnold, intellectual love is a pillar of Romanticism. This book will interest scholars and students of Romanticism, eighteenth- and nineteenth-century British literature, affect studies, ecocriticism, aesthetics, and those who work at the intersection of literature and science. Seth T. Reno is Associate Professor of English at Auburn University at Montgomery. He is editor of Romanticism and Affect Studies (Romantic Circles Praxis Series, 2018), and co-editor (with Lisa Ottum) of Wordsworth and the Green Romantics: Affect and Ecology in the Nineteenth Century (University of New Hampshire Press, 2016).